Inamorato impresses! His presence cannot be missed, as he possesses versatile ability, a strong work ethic and absolute focus. Professional through and through, Inamorato gives his rider 100%. Inamorato is by the German Elite stallion Buddenbrock out of the illustrious dam line of Isabella. His dam: Pr St Indira XV won Ch Mare of 2000 in Graditz, an international mare show hosted every 7 years. This dam line produced the dressage phenomenon Imperio (preselected for Olympics 2016) and the Premium Interconti, Induc, Inster Graditz, FEI Dressage Ira, Itax and Radom. 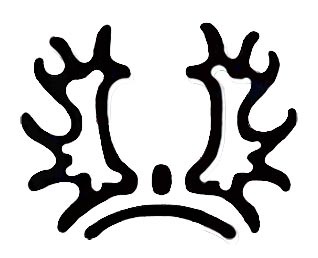 Inamorato boasts lineage of CCI3***Fontainbleau, EH Sixtus, Habicht, Diamant, Rockefeller, Mahagoni and Consul. Inamorato has a pedigree that overflows with breeding and performance success. 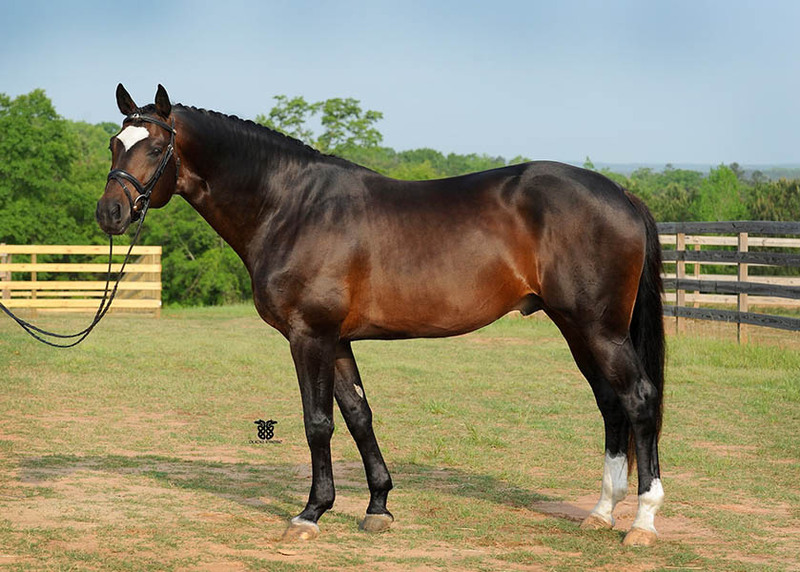 Born on St. Patrick’s, approved ATA in 2003 as: “willing jumper, good technique, relaxed, confident, excellent temperament, obvious jumping potential. 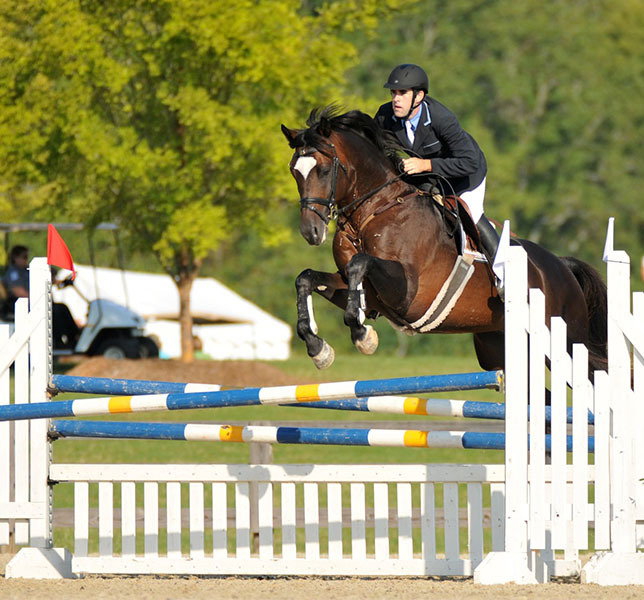 Mares needing Type, jumping talent would cross well with this modern young stallion, combining highly athletic lines, beauty, harmony, willingness and Trakehner Type.” Inamorato’s accomplishments include: Breed, Hunter, Jumper, Dressage and Eventing producing prizes and cash with NEDA, USDF, USHJA, USEA, ATA Ch. and Res. Ch., and Horse of the Year Awards. 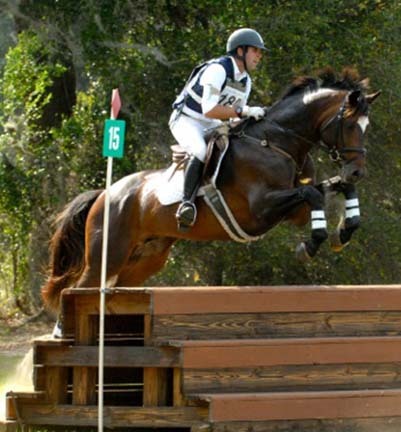 Inamorato has evented with Andrew Palmer up to CCI1* and Intermediate Levels. Judge’s comment: “Awesome, lovely.” He has jumped and won at 5’6” with style and ease. Inamorato overcame surgery and rehab after life-threatening injury January 2014. 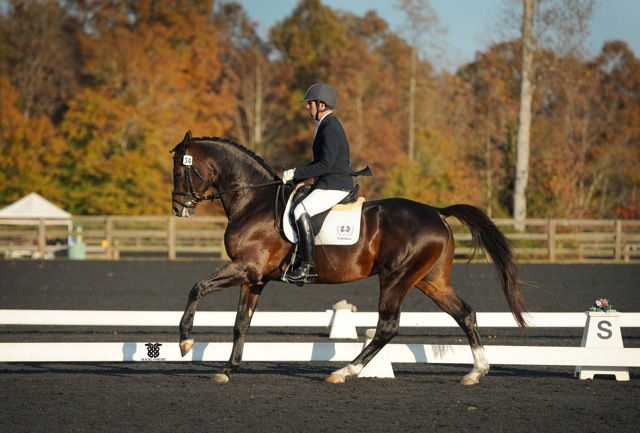 Fall 2014 through 2015 he won at Third and Fourth Level Dressage scoring up to 68+%.! Plan for 2016: FEI dressage and a miraculous return to eventing. His offspring follow as impressive, athletic joys to compete. Lucinda TL *Pr* (Inamorato/Unkenruf ) was honored as a Premium Performance Tested ATA 2015, High Score, Best Jumper, placing 4th and 1st in her Eventing debut. Tropicana JRR qualified for the YEH Championships in CA in his first season. Exceptional stallion prospects, future event horses, jumpers, and warmblood crosses attest to the quality he produces.